Following up on my previous post, I bring the second part of this series on WWDC scholarships. 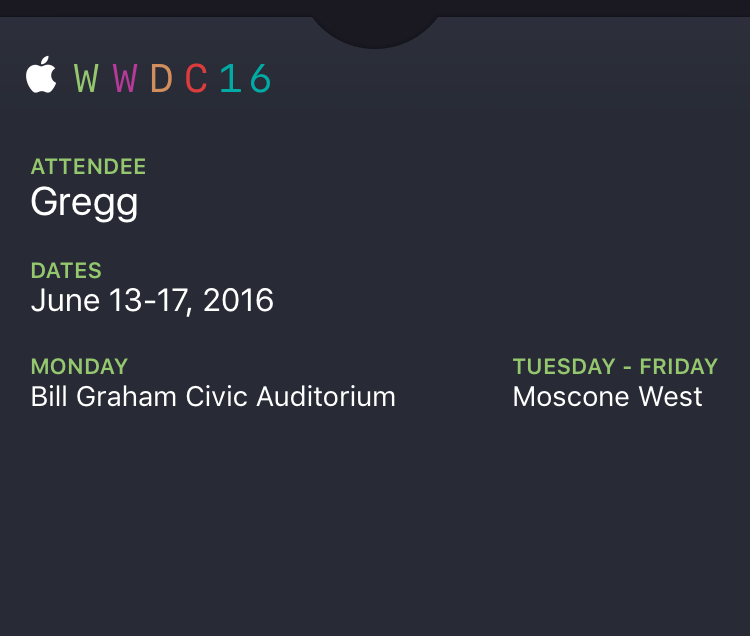 With WWDC happening shortly, many are excited about the opportunities to attend the conference. Apple has a limited amount of seats which it offers through a random lottery and also selects 350 scholarship winners for a coveted place among its conference. In this article, we continue our interview series with ten additional scholars as well as tips from me regarding the conference and how to make the most out of it! Let’s begin with 11 more interviews from some of our hand picked scholars! AppCoda: Congratulations on winning a scholarship! We understand this is your second scholarship. When did you win the first scholarship? AppCoda: Tell us about your WWDC app. Zuhayeer: We built Bash, a quick and easy way to arrange hangouts with friends. With Bash, you can create activities with a few taps and receive responses from your friends immediately. 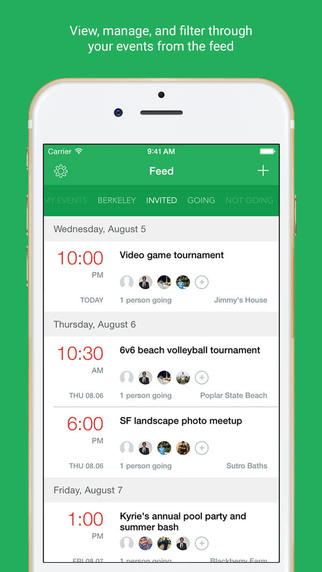 Once you’re invited to an event, Bash sends you instant updates and allows you to hash out details on the app itself. Bash is live on the App Store. AppCoda: Building an app in 2 weeks is definitely a tricky task. Tell us more about your process and any challenges you faced. Zuhayeer: It took us around 3 months alongside school to build our app, but our biggest roadblocks were when we launched in Berkeley and were actively trying to grow and retain daily student users. Our biggest challenge was providing enough initial value for users to actually onboard. So, our approach was to create a Berkeley section in the app that highlighted all the events happening in the first week of school. That feature definitely accelerated our growth efforts and helped us get content on our app for first time users to see. AppCoda: In addition to iOS, do you develop for any other platforms? Zuhayeer: I do! I develop for web and backbend. AppCoda: As with previous interviews, please share some words of advice for next year’s applicants. Zuhayeer: I’d say to keep building things even if your first few apps are rough. Just iterating quickly and making incremental advances over the course of a year can go a long way to make you a better developer. AppCoda: Tell us about why you applied to the WWDC scholarship program and how you hope it will affect your career as an iOS developer. Zuhayeer: Back in 2014, I applied to the scholarship on a whim, without knowing anything about iOS programming. I just scratched something together using a bunch of open source software and online tutorials. To my surprise I was accepted and that motivated me to keep pursuing iOS and eventually led me to build Bash while at Berkeley. Currently I’m interning at Uber and working on their iOS driver app, and I’m definitely grateful for having the opportunity to apply to the WWDC scholarship program. And in addition to all of that, WWDC as a conference has been a great venue for bringing together talented young iOS scholars from across the world who I hope to keep in touch with and keep learning from. These folks are killing it with their apps. AppCoda: Hey Florian! Congratulations on winning a scholarship. Could you tell us about the app you submitted? Florian: When reading Daniel Pink’s book “Drive” in late 2015, I stumbled upon a concept he calls “Flow Test”. He advocates one should set 40 random reminders throughout a week tracking specific psychological conditions. Being an enthusiastic app developer, an app idea immediately popped into my head, and that is how FlowLog was born. 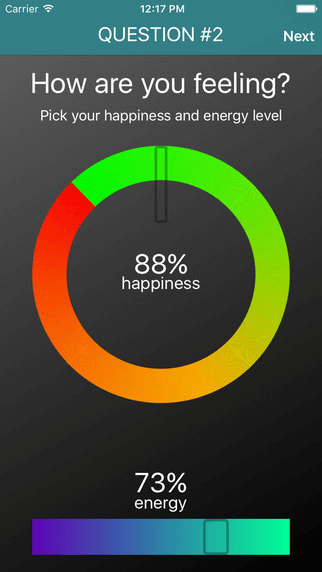 The core of the app is the “Log” section, where the user can repeatedly enter 1) his current activity, 2) his psychological conditions such as his happiness level and his energy level and 3) his current flow state (based on Mihály Csíkszentmihályi’s Theory of Flow, for example Flow, Relaxation, Boredom or Apathy). Using notifications at dates intelligently determined based on the existing logs (in order to have the whole range of times in the day covered), a user gets repeatedly reminded to create such a log. AppCoda: What Apple technologies did you employ in your scholarship submission? Florian: Technologies I made heavy use of are CoreAnimation and CoreGraphics, which I use for drawing the flow state and happiness/energy diagrams the app offers. The dashboard, which grants a swift overview of the progress the user has made within the program, is also rendered using CoreAnimation layers and animations. Finally, I chose CoreData as my database. Hence, all personal log data is stored solely locally on the device, which provides privacy – an important aspect in an app collecting psychological user data. AppCoda: How long did it take to build your app? Florian: I started preparing for my WWDC scholarship app in late 2015, constantly learning new skills and improving my overall approach to app development. Though FlowLog wasn’t intended to be the submission app, it is the perfect manifestation of everything I learned in the period preparing for WWDC. AppCoda: Tell us about your process in developing this app. Florian: Starting late 2015, I was always 100% determined to enhance my iOS skills to a level so that I might be able to win a WWDC scholarship the next time. Hence, I created a clear plan for acquiring the necessary skills and knowledge, consisting of reading ebooks and blogs, watching videos, taking online courses (RayWenderlich.com) and of course practice creating apps myself. I started out in December 2015 by systematically working my way through various courses offered on RayWenderlich.com – choosing topics that I felt I needed particular advancements in such as animation and custom drawing. 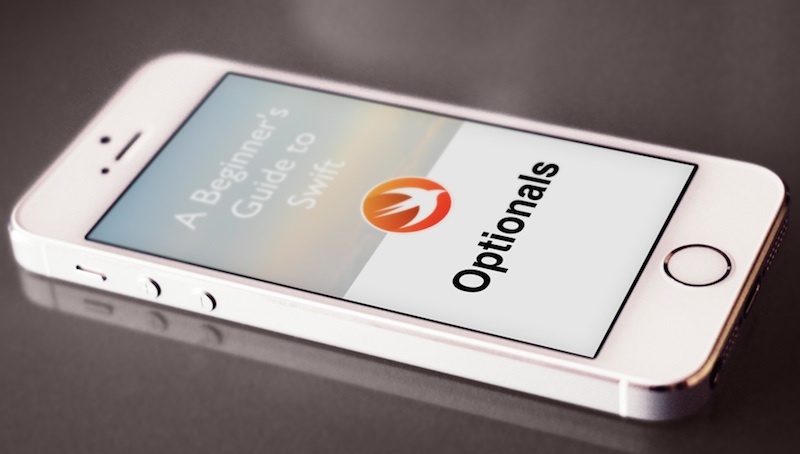 I always had a Swift playground side by side with the video course (and the example project) and noted down several core ideas and lessons learned in the courses. By repeatedly revising these playgrounds I successfully built up my skills. At the same time, I occasionally brainstormed creative content and app technologies / special views I could implement in my WWDC app, but didn’t plan to start working on it before I completed all the courses I intended to. In January 2016, after participating in several RayWenderlich courses, I felt it was time to get some practice. FlowLog was originally not intended to be my WWDC scholarship project, as I thought the task would be to write a resume-app as in the years before. Hence, it was built from the beginning on to be a “real” customer app for the AppStore. I dedicated large parts of my winter holidays to this app, as I felt it prepared me well for my final WWDC scholarship application app. In late February, I finally released it to the world and continued to enhance it gradually. In the weeks before the WWDC announcement, I spent my time reading objc.io’s book “Functional Programming in Swift”, which further helped me to improve the general architecture of FlowLog and my approach to such problems in general. In addition, I worked my way through several WWDC15 apps from other scholars (available on Github), understanding the underlying architecture and trying to find out a pattern that all the winners confirmed. In order to prepare the actual WWDC resume app, I was pre-coding several complex views to be implemented in my scholarship app, such as a yet to be released – maybe OpenSource – “MindmapView”. When the terms and conditions for the WWDC scholarships were finally published, I was first surprised, as I had expected – and prepared – to build a resume app. However, using FlowLog as my application app felt completely right, as it already incorporated most of the skills I have originally learned for the resume app. In the two weeks before the submission deadline, I just added some “easter eggs” such as Quick Actions for 3D Touch devices and carefully wrote the essays. AppCoda: What roadblocks did you hit when developing FlowLog? Florian: I certainly hit many roadblocks and obstacles, the major ones I’ll describe in the following. Firstly, what was very challenging was the wide range of possibilities a user could interrupt the notification process, i.e. how they could delete notifications or disable them altogether. In order to prevent the log cycle from ending, I devised a flowchart featuring every possible choice and designed processes that would fix the problem in every case. Another challenge I faced was to consider the many pathways a user might take in the app (eg. starting from a notification, from a Quick Action or from the background). Making use of iOS 9’s new Storyboard References, I refactored my app for modularity’s sake into multiple Storyboards, which I then had to assemble for every possible combination of LaunchOptions while at the same time maintaining my code clean. Once again, a flowchart did the job. AppCoda: Please offer some advice to next year’s scholars. 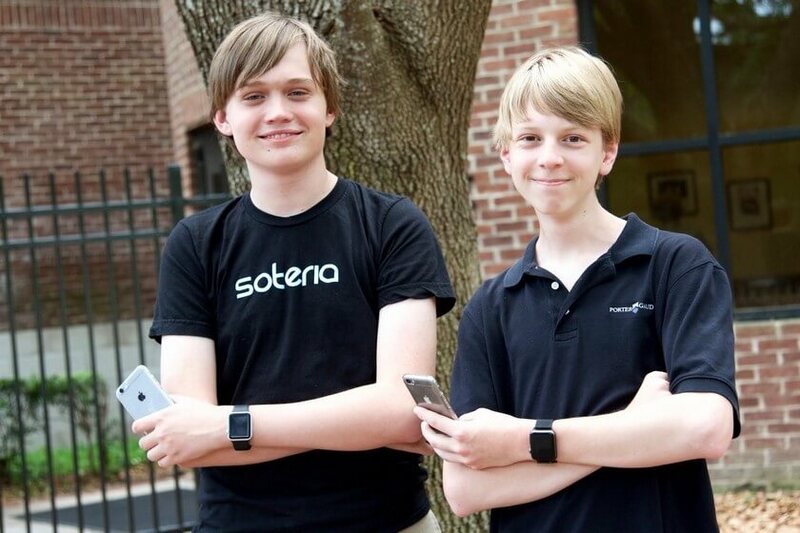 Florian: The main advice I would give young developers that want to apply for a WWDC scholarship is that they should start early by devising a clear plan and a roadmap for the months ahead of WWDC. They should take an objective, honest look on their current iOS skills and think about how they could advance best in different fields and then find resources such as objc.io, RayWenderlich.com or former WWDC scholarship apps that help them develop these new skills. Nobody knows what the guidelines for WWDC 2017 will require applicants to submit, but I think as an aspiring app developer it is always great if you’re working on your own “real world” projects, i.e. apps that you intend to publish on the AppStore and that provide a real value for people. Furthermore, a young developer I think should always have a clear purpose or direction that he or she is fully convinced of, so that they can authentically publish apps that reflect their vision – which I think Apple sees when assessing the scholarship applications. If you’re completely focused on something greater than yourself – eg. helping the world with a certain type of apps-, your apps become much better as you focus on the people that will get value from it. AppCoda: Thanks for letting us interview you! Could you please share something you’re working on right now? Florian: Right now, I’m working on a major 2.0 update of one of my other apps. Together with a friend, I recently co-founded an OpenSource app venture called “Courtastic”, in which we both develop apps that help local tennis clubs to manage their court bookings. The new version will have tons of new features, Firebase as a new backend (as Parse.com is discontinued) and will have an entirely new design – as my skills greatly increased since the launch of V1.0 which was my first real App Store app. AppCoda: Congratulations! We understand that you submitted an AppStore app. Tell us more about it! 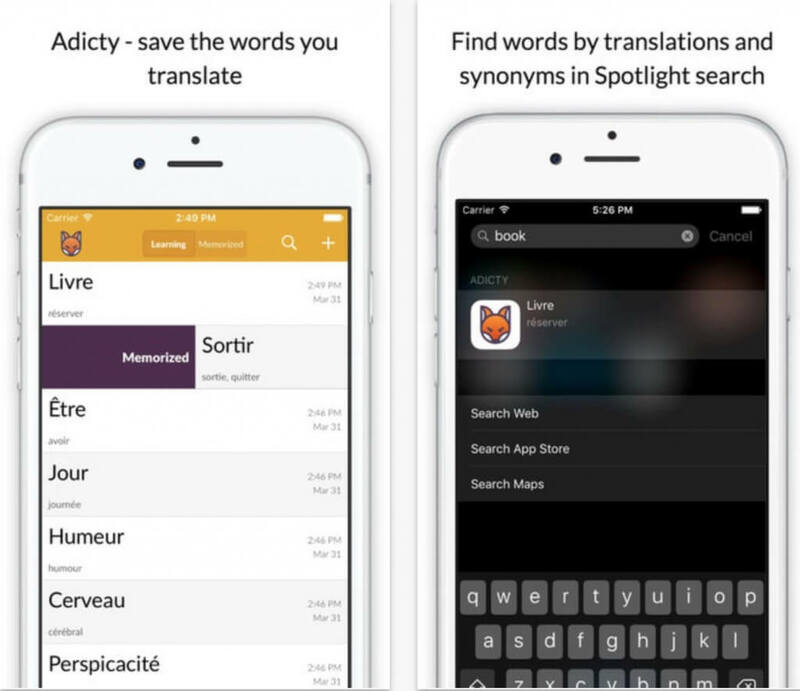 Timur: Adicty is an app that helps people boost their foreign vocabulary. It lets you translate and save foreign words and also provides you with different ways of memorising their meanings. It makes use of Spotlight search and 3D Touch. AppCoda: How old are you? AppCoda: What obstacles did you encounter in building this app? Timur: I was new to Swift and had almost no experience in iOS when I was building the first version of the app. I also partly worked on the backend part, so the whole thing took about half a year. AppCoda: What advice do you have to other aspiring WWDC scholars? Timur: Work hard and do your best to create an awesome app! Keep working until you are fully satisfied with the product! You won’t regret it! AppCoda: Thanks for taking the time with this interview. 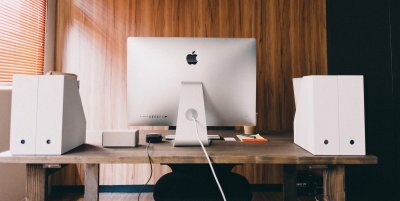 How do you think WWDC will help your career as a developer? Timur: I am super excited to meet the iOS community from all over the world! I have never been to an event like this and so far it seems like a life changing experience. Besides all the special knowledge that one can absorb during the labs and sessions, I am super excited to meet the developers who created the best iOS apps! AppCoda: Is this your first year winning a WWDC scholarship? AppCoda: Tell us more about your winning WWDC scholarship application. 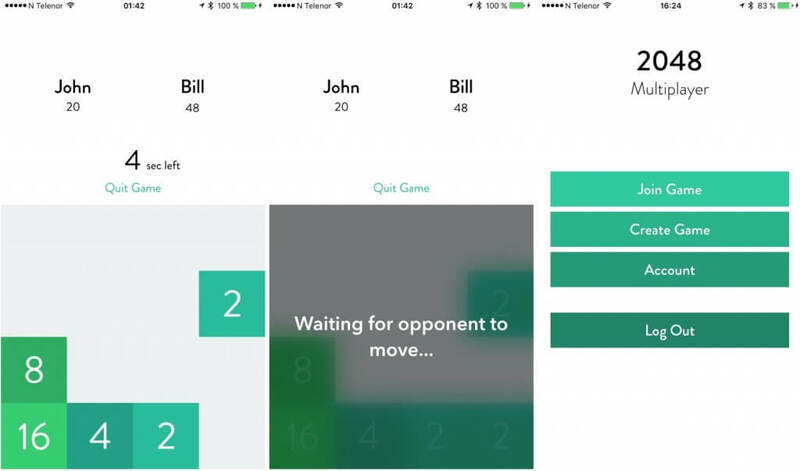 Vegard: The app is a multiplayer version of the game 2048. Users take turn swiping the board to combine tiles, and the user with the most amount of points at the end of the game wins. The board is synchronized over the network between the devices through Firebase (a company Google bought in 2014). AppCoda: Did you use Apple Technologies in your app? if so, which ones? Vegard: The primary Apple technology I used was SpriteKit to draw, and animate the board. In addition I used UIKit extensively throughout the rest of the app to do stuff like the custom transitions. The entire app was written is Swift. AppCoda: Tell us about some obstacles you encountered when developing this app? Vegard: The app took somewhere between two and three months to build. Most of the roadblocks I hit was related to Swift. This was during the very early days of Swift, and a lot of stuff that work perfectly today was riddled with bugs back then. In particular I really pushed the limits of what protocols and generics was capable of. I was happy to see that most of those issues got resolved at WWDC 15. AppCoda: Could you offer some advice to other developers interested in applying to the scholarship program next year? Vegard: Start early. Building something you’re proud of takes a significant amount of time. Don’t be overly ambitious. It’s better to build something small that you can control and polish. If you go for something too big, it can easily get out of hand, and you won’t have time to make it as good as you originally imagined it. AppCoda: Tell us about something you’re working on these days. Vegard: Right now, I’m working as an iOS developer at a startup called MOON Wearables. I recently published my first app to the App Store called Perfectly Level. It’s a leveling app that is more sensitive and accurate than most other leveling apps. You can get an overview of it at http://vegather.github.com/level. I also publish a lot of smaller projects I’ve been working on to Github (github.com/vegather). Most recently I made a simple bezier curve demo for iOS. AppCoda: Congrats, Connor! Please tell us about your app. 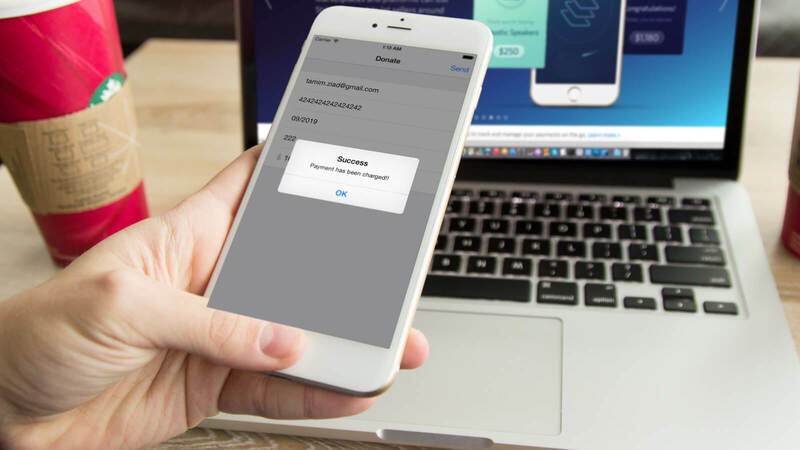 Connor: I created an application for my scholarship application that generates random alphanumeric and diceware passwords using 3D touch to generate entropy. AppCoda: What planning was involved in building this app? Connor: I built 80% of a resume app for iPad based off the previous year’s instructions, and then decided to scrap it when the new rules were announced. I spent about 3 days planning and designing algorithms before getting started on building the product. I roughed out UIs in Interface Builder first, then implemented the password generation algorithms, and finally wired it all up and polished the UI in the last 2 days before submitting. Connor: It took about 4 days of work in Xcode to complete. I was already very used to working with 3D Touch, so nothing very difficult popped up. AppCoda: Are there any suggestions or tips you could offer applicant next year? Connor: Don’t worry about building an expansive app with dozens of views and fancy transitions. Find the aspect of your development skills you would like to show off, and put the highest level of polish into the app you build. AppCoda: Why are you excited to attend WWDC? 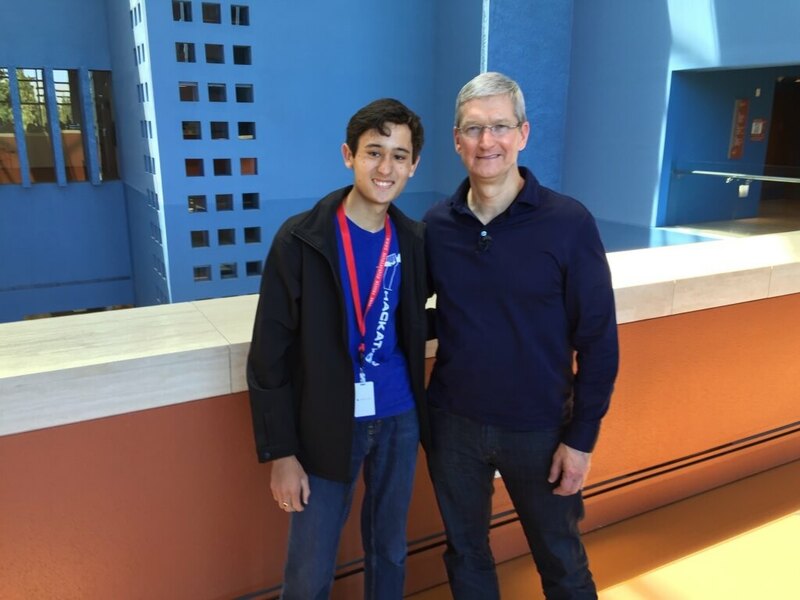 Connor: I work for 1Password, and I look forward to using the WWDC labs and sessions to help my team build an amazing app for iOS 10! AppCoda: Congratulations on winning a scholarship! Could you tell us about the app you built? Tillson: I submitted iSignedIn as my scholarship app this year. A team of two other developers and myself began working on it in late 2014, and we’ve been building it ever since. 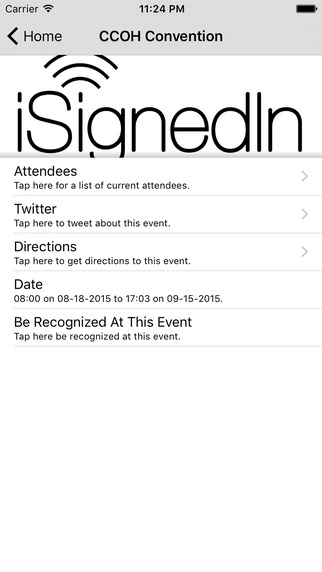 I work on web development and iOS development for iSignedIn. iOS’s main technology used is CoreLocation for being able to tell if a user is at an event. During application week, I added 3D Touch and CoreSpotlight support to the app. AppCoda: What other platforms do you develop for besides iOS? Tillson: I develop PHP and NodeJS web apps, and though it’s not a platform, I work a bit with cybersecurity and compete in CTFs. AppCoda: What advice would you have for next year’s applicants? Tillson: Don’t try to game the system. This past year, Apple changed up the guidelines becuase people were starting to catch on to the “personal app” guidelines from 2013-2015 and were creating their apps way beforehand. Also, only add technologies to your app that make sense. Not every app has to have WatchKit support and an Apple TV app. If the app is bloated with features for the sake of checking more technologies on the list, Apple will be able to tell. AppCoda: Well, enjoy WWDC! We understand this will be your third consecutive year — great work! Tell us something you’re up to these days. Tillson: I’m still working on iSignedIn, along with another app called PYNOT, which will be released towards the end of the summer (I can’t go into details on PYNOT just yet). I’m looking forward to putting faces to names from Twitter/Slack at WWDC, along with making new connections. AppCoda: Great job on winning a scholarship! Is this your first year at WWDC? AppCoda: What Apple Technologies did you use in your app? Mazen: The app uses HealthKit to maintain the user’s health data and Touch ID to keep the users information secure throughout the app. I also included Apple’s latest technology, 3D Touch to make access to all your health data and medical clinics much faster and more interactive. I had been working on the application for quite some time, but after Apple announced the scholarships for WWDC I got straight into version 1.2, adding a more sleek user interface design and improved security, location and tracking accuracy. AppCoda: Tell us more about your entry. Mazen: The app I submitted this year was Clinical Tracker. It’s a really intuitive and interactive way for medical patients and even the general public to track their medical activity and locate their nearest clinics. AppCoda: What other platforms do you develop for? Mazen: I also develop web applications and desktop Java applications. AppCoda: Give next year’s applicants some advice. Mazen: My advice would be to start developing as soon as you can. The more you develop, even if it’s not an app you can publish to an App Store, you gain so much more experience and find a lot of improvement quite quickly. I learnt by watching videos online, but nothing teaches you to code better than you playing with a program yourself and seeing what you can do with it. I feel Apple really looks at your creativity and looks to find the ways you can contribute to their App Store, so the closer you get to developing a top quality global app, the more likely I think you are to receiving the scholarship and gaining more exposure for your products. AppCoda: Well, Mazen! Thanks for taking the time to complete this interview! We’re excited for you and hope you have a great DubDub! Please tell us why you’re excited for WWDC and what you’re working on these days. Mazen: I am working with my team to develop a new social networking application we believe will revolutionize the way our society goes about their daily activities. We are looking to globalize the application and make it accessible on all devices including the Apple Watch and Apple TV. We think it’s important to have Apple’s latest technologies in our application where possible, to let our users to make the most of the improvements. We think being able to get a hands on experience with these technologies at WWDC will allow us to be of the first in the market with these improvements in our app. There are also a lot of people with amazing ideas to meet at WWDC, who we think we can gain knowledge from and share ideas with and give each other more exposure for the projects we are working on. I believe this is a big step in my career as a developer because these connections and experiences are what let us develop higher quality applications and collaborate with so many others. AppCoda: Congratulation on your scholarship! Tell us about the app you built. 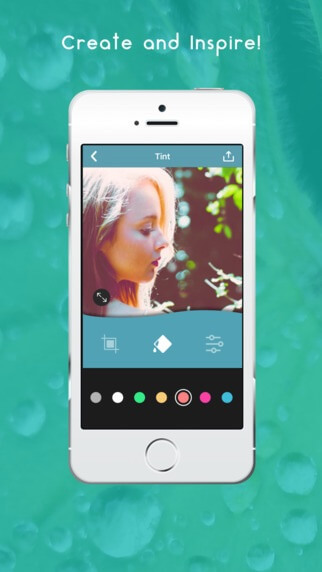 Gustavo: Fade It is a photography app with a different twist: The app has the usual edits and filters expected for a photo app but we (me and Carolina Mandia Gradel) wanted to bring social awareness to the app. The idea is actually simple: people like to support social causes online with profile pics in social media but usually the badges and filters have no value to the actual cause, making this action a little bit… Pointless. People don’t learn about the problem, don’t fully understand what they’re supporting and usually, the cause has a lot of attention but no donations or informative awareness. AppCoda: What Apple Technologies did you use? Gustavo: We used AVFoundation, Push Notifications, WatchKit, CloudKit, Core Image, Core Filters, Core Location, MapKit, UIAccessibility (Voice Over), 3DTouch (Shortcut Actions and Peek-n-pop), OpenGL ES. AppCoda: Besides iOS, do you develop for any other platforms? AppCoda: Give us some advice for next year’s applicants. Gustavo: Focus on ideas that you love, always think how to apply the Apple technologies for the best and show how your app can impact the world. AppCoda: Tell us more about what you’re working on and WWDC! Gustavo: I’m working in Fade It full time. WWDC will help me to make amazing connections, go to San Francisco in the first time in my life and meet people I admire and look for. 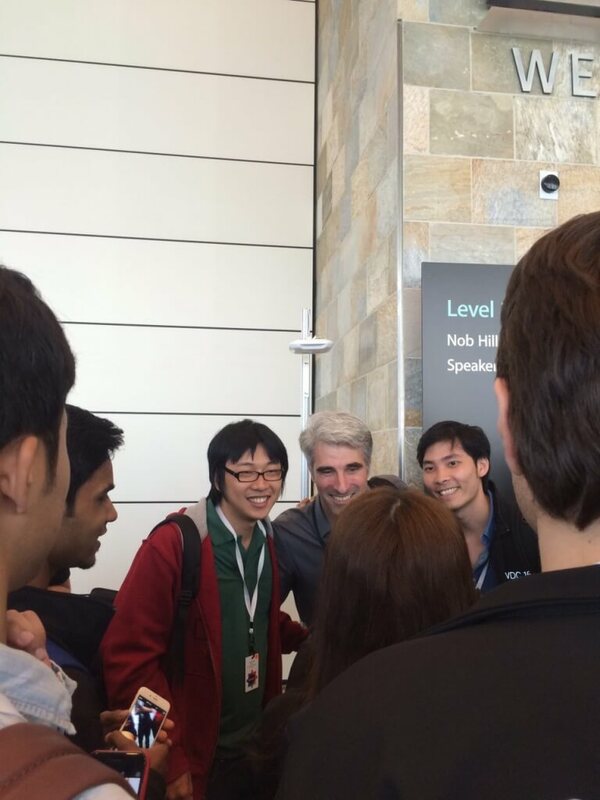 I believe WWDC Scholarship is about meeting people and inspiring myself to continue the good work. AppCoda: Congratulations, Charles! Tell us about your app. Charles: Speed Assistant is a navigation/utilities app that uses a few frameworks like Fabric and Mapbox, as well as some core technologies like CoreLocation. Along with these, Speed Assistant has 3D Touch implementation. The general idea that build Speed Assistant from it’s core was a Heads Up Display (HUD, the more expensive cars have it) using your phone. 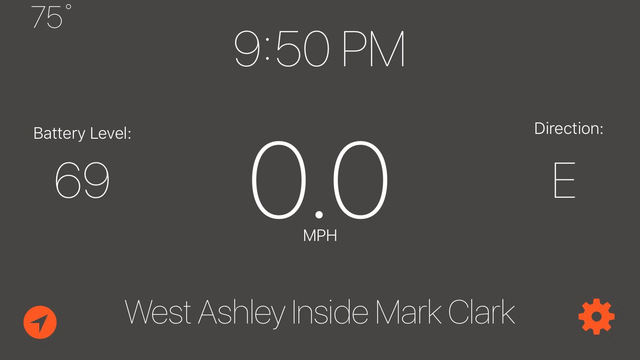 Like a mirror, by reversing the z-axis of all on-screen elements, I was able to reflect crucial driving-related data (like speed, heading, and an optional Mapbox map) onto the dashboard of the car. Charles: WWDC Scholarships have had the tradition of doing a more “resumé” like app, so I thought of ideas but I didn’t ever really start building it. Luckily, this year they changed it up a bit so it’s a good thing I didn’t start building ahead of time. AppCoda: How long did it take you to build your app and what challenges did you face along the way? Charles: It took me about 2 weeks to build it, mainly because I only worked on it over the weekend. Afterwords, I procrastinated putting it on the app store for a long time because I had to do DUNS, set up a Tax Identification Number, and other stuff like that so I could charge money for it. Once WWDC rolled around, I decided not to charge money for it, mainly because I didn’t have enough time to push it through DUNS. I threw it on my individual developer account, and submitted it there. AppCoda: What tips would you give to next year’s applicants? Charles: I got an email from someone I didn’t know, they mentioned they were 12 and they didn’t get accepted. Then they asked for tips on why they didn’t get accepted. It made me laugh when I replied, “The minimum age to apply is 13.” I don’t know if that’s a tip but here’s my tip: Make sure you read the guidelines thoroughly, and if you aren’t dedicated you won’t get anywhere. AppCoda: What are you working on these days, Charles? Charles: I’ve already sensed a change in the tides career wise, and I have had an interview with the local news. This will definitely impact my ability to find a job later in life. Right now I’m working on a kind-of innovative app that I don’t really want to discuss because it’s new and I don’t think anyone has done something like it before, but it’s simple and cool. AppCoda: Hey Mitchell, congratulations on your scholarship! Tell us about your submission. Mitchell: For my 2016 WWDC scholarship app, I decided to submit an app that I had been developing for my summer camp, Maximum Travel Camp. Maximum is different than the traditional summer camp. Instead of there being one main campus, the camp goes on a different trip every day. The app helps campers and camp staff by giving them easy access to important information such as the camp calendar, packing lists for trips, descriptions of trips, and more. I decided to implement 3D touch and an Apple Watch extension into the app to make it even more convenient. My end goal was for campers to get information from the app quickly and easily so they use their phone as little as possible during camp. You can find my app here. AppCoda: Do you develop for other platforms? Mitchell: I am mainly an iOS developer, and I love developing for the iPhone and iPad. However, I have done a very small amount of Android developing, and I hope to learn more in the future. AppCoda: How old are yo and when did you start programming? Mitchell: I am 17 years old and I started programming in June of 2013. AppCoda: If you could offer advice to next year’s applicants, what would it be? Mitchell: My biggest tip is make sure that your app shows who you are. Create a UI and use technologies that you think work best for your app. Getting opinions and advice about your app from others is great, but don’t let others change your app too much. Another important piece of advice: don’t expect that you will get in. It is really difficult to receive a WWDC scholarship. I would know! It took me three tries to finally get accepted, but I never gave up. If you get rejected, don’t get too upset. There is always next year. AppCoda: Thanks for helping us with this interview, Mitchell! Please tell us something you’re working on these days, and what WWDC will be an important part of your career as a developer! Mitchell: I am currently working on a massive update for one of my favorite apps, iRide. 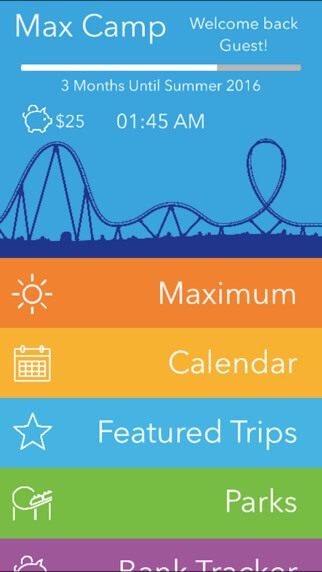 iRide is an app that records roller coaster rides. I will be updating the UI and adding tons of new features. During WWDC, I’m going to meet so many other developers that I will have lifelong connections with. I also will increase my knowledge about iOS that I will use in all of my future apps. AppCoda: Please describe the app you built for the WWDC scholarship. What Apple technologies did you employ? If you submitted an App Store app, please also include the link. We’ll publish this as part of our post. Ari: The app I submitted for my scholarship that is on the App Store is Charechat (I submitted one on the store and one off the store). Charechat is a messaging app that allows you to send instant games to your friends. It is similar to Snapchat, but with games instead of pictures. Games include Truth or Dare, Never Have I Ever, and more games coming soon! 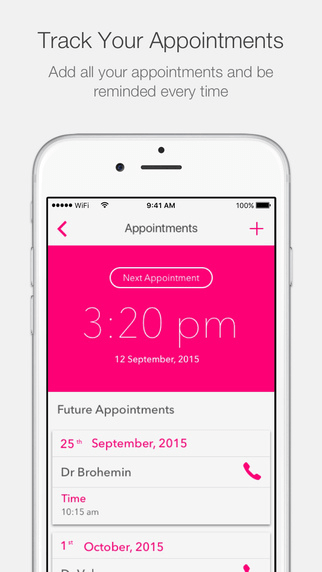 For Charechat, the iOS features I chose were push notifications and Test Flight. I chose to use these iOS features so my users would be notified when they received messages from other users. Test Flight was chosen because I wanted to beta test my app with others to find ways I could improve it. AppCoda: Do you develop for other platforms (i.e. Web, Android, Backend)? AppCoda: What advice or tips would you give young developers looking to apply for the scholarship next year? Ari: I would definitely tell them to beta test EVERYTHING. UX will also take up much more of your time than you anticipated. I would also suggest that if you have a question about any technology you are using that you can’t figure out from reading the documentation, feel free to email the developer support or info page for those that created the technology or ask Stack Overflow (they won’t bite). I know that constant fear that your question will be stupid and you will get a condescending answer, but chances are that you will get the answer you are looking for (which is the most important). Also if there are hackathons nearby you, I would suggest going to those. Hackathons are an insane resource of hackers that will definitely be able to give you educated advice and there will always be at least one person who can answer any one of your questions (the swag is also awesome as well). AppCoda: Tell us about something you’re working on right now. How do you think the WWDC scholarship program will help your career as a developer? Ari: I am currently working on an application that was part of my WWDC application. Beacon X allows people to be able to set up iBeacons and nearables without having any knowledge of coding or app development. The technology behind it is currently patent pending. I am focusing on optimizing that application right now and I will be heading to MIT Launch in the in July to gain more expertise on how I can make businesses around my Apps. The reason that attending WWDC is so important to me is because I see WWDC as a place where I can gain information and inspiration for my next iOS applications, meet other experienced iOS developers, and learn about the forefront of Apple’s future. I have always been an Apple fan due to a combination of focus on design and aesthetics and an emphasis on functionality and logic. Quite frankly, the reason I became an iOS developer is because I personally share those same values. I cannot even fathom how valuable a week learning about the forefront of Apple’s latest technology will be and what I will be able to create on Apple’s platforms with that knowledge. WWDC is an exciting time for iOS developers! The keynote kicks the week off on Monday with (usually) major updates to iOS, OS X, along with some speculated hardware updates and more. Monday at WWDC will be fillled with lines, networking, and presentations. The day is scheduled to start with the Keynote, follow up with the Platforms State of the Union (a “keynote for developers”), and conclude with the Apple Design Awards. These are events you don’t want to miss. If you haven’t heard of them before, I highly encourage you login to the official WWDC app and watch parts of them. Tuesday to Friday is at the Moscone Center in downtown San Francisco. Apple will host sessions and labs all week. The general suggestion is not to spend too much time at all the sessions possible (although they’re excellent quality and can help you get your hands on the latest and greatest technologies), but rather to devote most of your time to labs (keep in mind that all sessions are pre-recorded and available anytime via the developer website and WWDC app). Labs are hands on sessions with Apple Engineers where you can ask technical questions, get feedback, and chat with some of the brightest minds in the industry. Wednesday to Friday will also feature guest speakers at lunch time. Finally, you don’t want to miss out on the parties following WWDC each night. A variety of tech companies and organizations host meetups, networksing events, etc for developers each night of the conference. These are great ways to meet more people and get to know the community better. 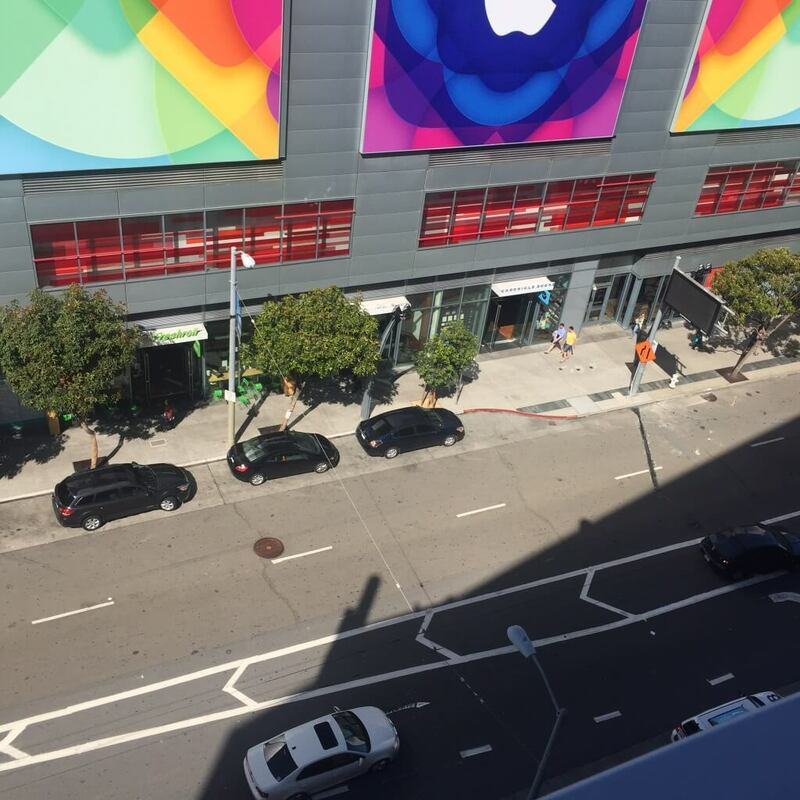 WWDC’s a fanstastic week and we hope all attendees have a great time!